one question I have Kane and Aguero , I plan to get rid of Aguero for a CDM , Aguero and Ndombele for Kante or is too much ? Or to stick with Ndombele he may switch to big team soon. I wud keep ndombele tbh, boys a beast, him and aouar are too good. And ndombele will most likely get big move in summer. He's been injured recently so that might go against him. Plus I think the squad cap at Boca is 88. Their only 89 rated players got that rating at other clubs. Martial. He could get 91 next review if Utd do well and he keeps his form up. Think Marez is probably a sub too often to rise again at the moment. Dybala and Umtiti for Mbappe, opinions? Tough to turn down Mbappe, but it depends whether you have/can get a replacement for Umtiti really. If not then keep the duo. I have £1.2m to spend with the transfer deadline being tomorrow evening, any recommendations (guys to turn a profit from would be good)? For players in upcoming reviews. Snap up 2 or 3 young Argentine players. Check TM Costa's thread for suggestions. Should be able to sell them at a profit as soon as their transfer bans end. I can sign Gabriel Jesus for his value 40 M.
I know that he is very young and start with Brazil but I think that his value is over price. I'd buy him. You can always sell him again and likely make a profit if his game time doesn't look like it's increasing. Kante for me. Already at 94 and there aren't too many of those around. It is a lot though. Could you negotiate? Any other options? Lisandro Magallan - Any chance +2 (85->87)? I don't think +1 is guaranteed even. Maybe if he's a starter at Ajax and doesn't get reviewed for a few weeks. Liverpool are the best team in the world, they will win the Prem and the Champions League. Van Dijk is the best defender since Beckenbauer, Trent is a right back who's too good to play at right back, the next Lahm, and Klopp is a managerial genius who just happens to be funny AND handsome. What's not to love about the scousers? Can anyone with better knowledge of Italian football than me give an opinion on Gianluca CAPRARI? Worth hanging on to or sell? 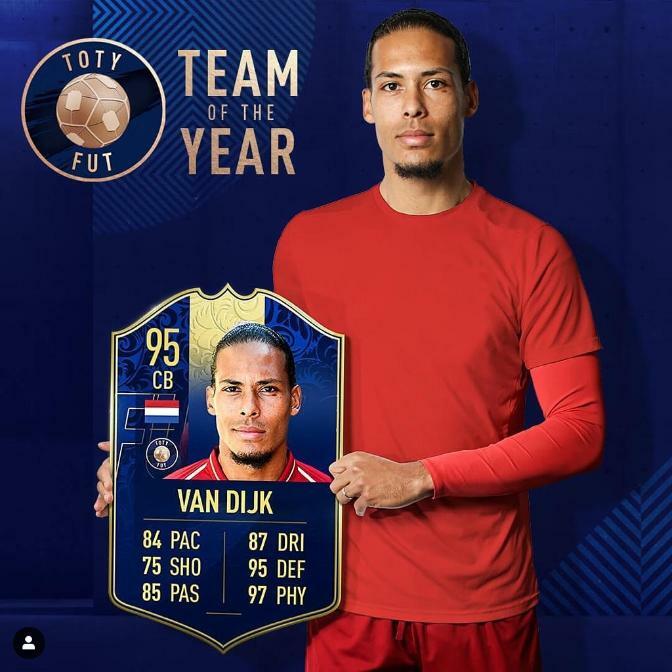 Will VvD get to 95 when he wins Premier League - PFA Player of the Year? Just seen he's odds on favourite. Next in line is David Silva at 6-1, would be nice for him to win it, very under rated when it comes to individual accolades. He'll be too old to rise considering Modric didn't. Franck kessie world class or just good ? 92+ player one day ? Caprari is a good player, he replaced Defrel and he's playing regularly, he scored 3 goals in the last 4 matches, for a team that can go to Europe League. He can play as a striker or as attacking midfielder, so he will continue to play even if arrive Gabbiadini. He isn't a top scorer, he can arrive to 10-12 goals by the end of the season. Do you think he can rise much in the future? Milinkovic-Savic +92 player one day? What a game of one of my teams today. 73 % possession against a team with average rate 91,7 (my team 89.2) and 4 - 0 away. Tough to know for sure because he's still young, but he certainly doesn't look like he has proper world class (95+) potential. I'd say he can get to 92 if things go well but that's about it. He could get 92/93 if he gets a move. Probably not at Lazio though. If you have Kane, you can get easily get rid of Aguero. And yeah, Kante is the best atm and you should buy him. But Aguero + Ndombele is not a good offer. Try to negotiate. Haha. He won't get past 94 until he wins CL. He's too young. We can't decide just yet. But he's a good player and he'll be a good investment. Yeah but not in Lazio. Needs a move to PL or any big clubs.